Since my hard drive crashed, I wasn't able to keep up with my posts. Luckily my husband doesn't need his computer tonight so I am catching up on both blogs. Last week we took a trip to the Arabian Knights Farm. My very good friend Gabi volunteers there on the weekend so she was so nice to invite us and let us get up close to some beautiful animals! Here T is being bugged by the "bosses of the petting ZOO". Apparently they are not suppose to get up there... Now you know who is the boss! T giving a back rub to the boss! T learned how to feed the horses. This guy was the best. Llama and his name is Chris! Isn't it awesome! We had some time for extra fun in the barn! And a picture I really like! This is T and Nightlight. 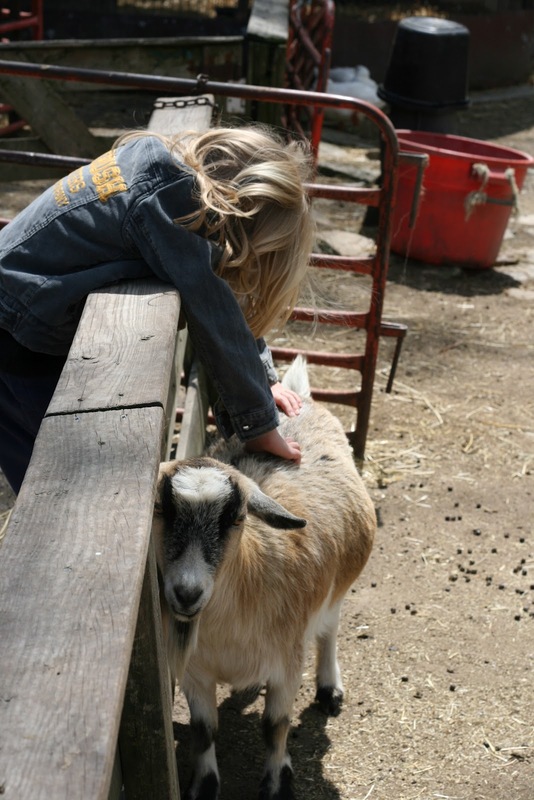 Kids always enjoy a trip to meet some animals. They make amazing connections. B needs a bit more warming up to do. I hope we will be back soon!